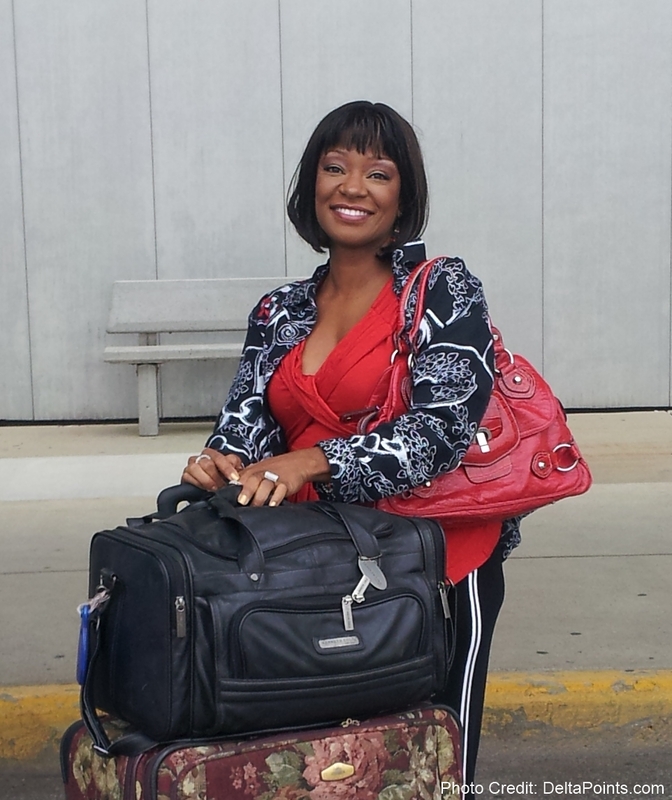 Tamara answers readers’ travel questions today! I love learning. Hello Delta Points readers. René asked me to take the time to answer some your questions from a few weeks back so here we go. Sam asks: We have never been on a cruise ship. Terrified of all the bad press and mishaps. Are there any good ones out there? Can you recommend some excellent/safe/good value cruise ships for my wife and I? I know there has been some bad press about cruises, however there is bad press about everything at one time or another. I plan several cruises weekly for individuals as well as groups. I use different lines depending on the type of “experience” desired. There is no line I do not recommend because every cruise line appeals to a different personality. In fact even though they have individual names like Royal Caribbean or Celebrity and Azamara, these lines are really owned by the same parent company, but individually designed to appeal to a certain market of cruisers. Cruising is an excellent hassle-free way to experience more than one destination while being pampered at the same time. If you are thinking about cruising, see an experienced travel agent who will “qualify” the cruise line to match your lifestyle, wants and interests. Kodoma asks: What is the most unique trip you helped someone to plan? There is a market of travelers out there called “Foodies”. They travel to different places just to experience the local cuisine and not so much for the actual location. This is an expensive hobby but really fun! My group of “Foodies” were also wine connoisseurs. Where else to send them but Italy! They had private cooking classes with gourmet chefs, wine tastings with food pairings in different cities that required private drivers who spoke English as well as a truffle hunting expedition that ended with… you got it …more food and wine. Planning menus ahead of time was required as things like vegan meals needed to be taken into consideration. They even had a local family host them for a gourmet lunch and a walking tour in Rome …which was awesome because now they not only have great memories but lifelong friends. MP_Seeker asks: What is the best example of a situation where having you as a travel agent made the biggest difference? I do not necessarily mean monetary value. The reason is I have only used a travel agent once. That was back in 1998 when OTAs were not a big deal yet. Now days, we all believe we are the best TAs out there. I think it would be every time you are traveling and your trip is not meeting your expectations. Like my hysterical bride in Belize who was devastated when the private fishing trip we planned as her husband’s wedding gift was canceled due to rain. I called the resort and spoke to the manager. They took them to a beautiful lite lunch in a local restaurant. While they were at lunch, they turned their room into a romantic candle filled spa. With rose petals, chocolates and a private double massage waiting for them when they returned the honeymoon saved! lol. I have been used to track luggage and make sure it gets to the next hotel on a tour, or to contact family members because of picked pockets in Brazil, or just to help get another connection booked quickly because there were 80 angry people ahead of my client moving very slowly to be re-accommodated after a canceled flight. The point is you can pick up the phone and speak to someone who actually cares and can help. Sarah asks: Is it usually less expensive to book a package vacation or piece it together? It depends on the vacation destination, the time of year and your personal needs. If you are extremely open to go anywhere in the Caribbean or Mexico, anytime and do not care about the actual property as long as you know the quality, there are some great deals in packages! Also, the nice thing about some packages are that they may include some freebies like round trip airport transportation, room upgrades and free breakfast or a local representative at your actual hotel to help assist you.